Fingers cramped and bleeding, this stained glass has almost 200 individually cut and meticulously fitted pieces of glass in it. 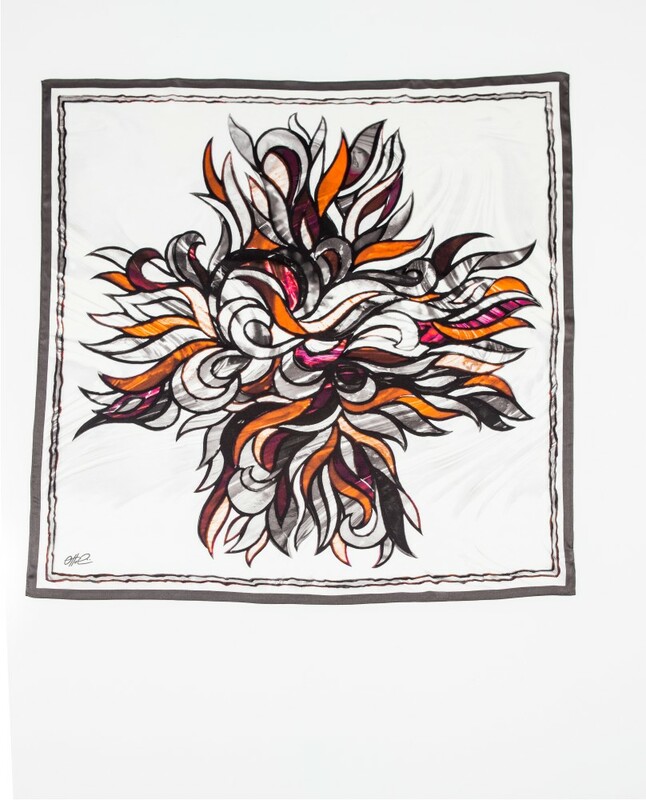 One of my earliest scarf sketches, I waited nearly a year before undertaking this complex design. Playful colors laminated on a wildly textured glass background will provide a striking compliment to many different wardrobes. 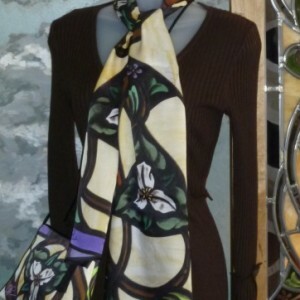 Be sure to check out our matching handbags, clutches and totes. Together or separately, they provide that finishing touch. 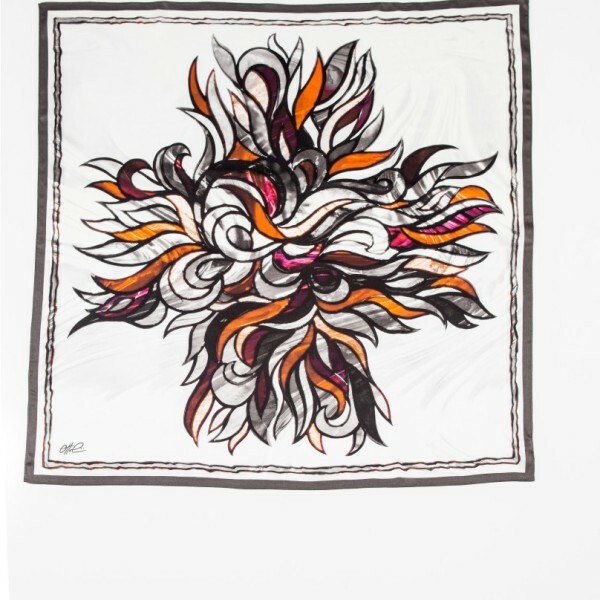 Handmade in the United States, this 100% silk scarf is made to last, bringing you years of enjoyment and satisfaction.